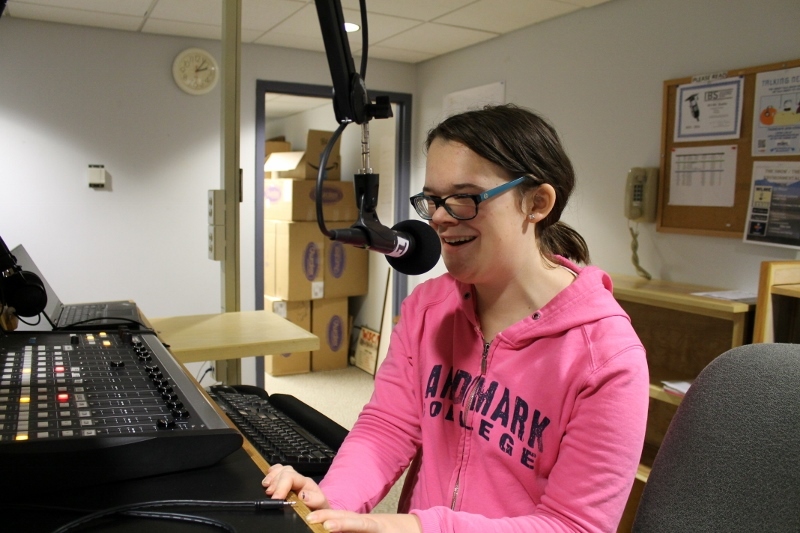 A member of the Young Alumni Committee, current student Megan Freeman has followed her own advice and jumped right into giving back to Landmark College. Freeman came to Landmark College in Fall 2014 and has already donated to the 2014, 2015, and 2016 Class Gifts, as well as to Young Alumni Committee Fundraisers and the College’s annual Alumni Giving Day. She is also a member of the College’s student phonathon team. Freeman earned her A.A. in Liberal Studies from Landmark College in Fall 2016 and is currently enrolled in the B.A. in Liberal Studies program, with an expected graduation date of December 2018. During January Term 2017, she participated in the launch of the College’s new Employment Readiness Experience (ERE), part of Landmark College Works, a comprehensive career readiness program. The ERE places students in campus employment during the afternoon, while providing an academic course in the mornings designed to help them reflect on and learn from their job experiences. Freeman was employed in the Transfer, Career, and Internship Services office. “I think of it as a stepping stone,” said Freeman about the ERE. “I think this is a good thing to prepare me for the next step.” Freeman aspires to work with the elderly as an events coordinator in a nursing home. Freeman also enjoys being part of the Young Alumni Committee, which is made up of current students who encourage their peers to donate, volunteer, and otherwise give back to the College while they are on campus and throughout their lives. “I like how it gets the word out that we are alumni from day one!” she said. Asked how donations have directly benefited her, Freeman mentioned the support given to WLMC, the College’s radio station; to the Nicole Goodner MacFarlane Science, Technology & Innovation Center, opened in 2015; and to scholarship support, which now includes several full-tuition scholarships made possible through grants and matching donations.